Explore Change @ PMDAY Bulgaria 2015 | Leanify Ltd. This year PMDAY Bulgaria is focusing a lot on change and transformation, and they are also living it! The format will include a lot of interactive workshops, and Agile is also a topic of interest. Let’s meet there and talk about change and the challenges and opportunities it brings. 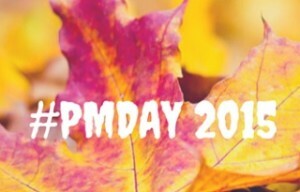 Check out my session and the other great speakers and workshops at http://pmi.bg/pmday/program/.